Dr. Alain Bitton is Professor of Medicine at McGill University. He completed a clinical research fellowship in Inflammatory Bowel Disease at the Beth Israel Deaconess Medical Center, Harvard Medical School from 1994-1996. After returning to McGill University he became the Gastroenterology Residency Program Director, a position he held from 1997–2007. Since 2009 he has been the Director of the Division of Gastroenterology at McGill University and the McGill University Health Centre (MUHC). His research is in the field of IBD and focuses on the identification of clinical, biologic, psychosocial and genetic predictors of relapse and disease course in IBD. 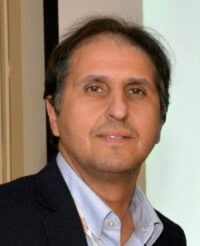 He is the clinical director and co-founder of the Quebec IBD Genetics Consortium (QIGC). The QIGC is part of of the University of Montreal Genetic Research Centre (GRC) which is one of the 6 GRCs making up the National Institute of Diabetes, Digestive and Kidney Diseases (NIDDK-NIH) IBD Genetics Consortium. Dr. Bitton is also leading the way for the creation of the McGill University IBD day centre which will serve as an innovative multidisciplinary platform for the care of IBD patients. Dr. Bitton is the co-project leader of a Genome Canada/CIHR funded project to develop a tool that will predict to which biologic agent a given individual with IBD will best respond.